Every year in May, Assistance League of Irvine sponsors an amazing event that allows every child to be an artist for an afternoon. Our 24th Young Masters Art Show will take place on Saturday, May 3, from 1 – 4 pm at Irvine City Hall. The FREE activities will include hands-on art projects for children, musical performances by Irvine high schools, face painting, balloon artists and – complimentary refreshments! A perfect event for the entire family! Along with all this, almost 500 artworks created by Irvine elementary school students (one selection representing each elementary school classroom) will be on display inside City Hall during the festivities. These “Young Masters” are so talented, it’s unbelievable. You’ll be awed by the creativity of the artwork, and you’ll have a new appreciation for the work our Irvine Unified School District Art Specialist teachers are doing in the classroom. And you’ll be similarly impressed by the high school music groups – these teenagers sound like professional musicians. But the best part of Young Masters is seeing the joy the kids have as they make their own art projects at the hands-on art stations. 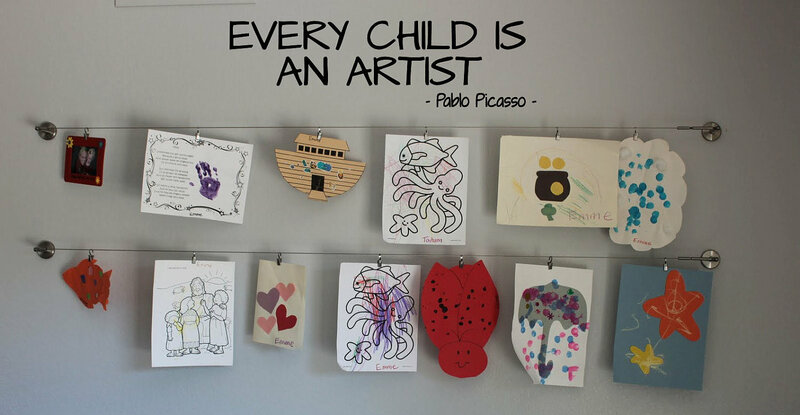 Here “every child is an artist,” feeling the thrill of creativity and reminding us that the arts enrich us all. Put Young Masters on your calendar for May 3 – we hope to see you there!